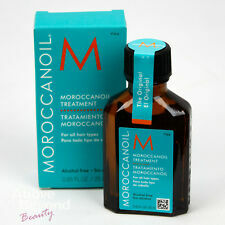 MOROCCANOIL® ORIGINAL Hair Oil Treatment 0.85 fl oz (25mL) FAST FREE SHIPPING!!! 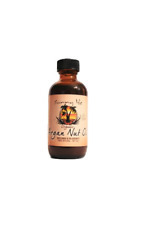 Contains 200mg Argan tree kernel oil. After shampooing, apply an appropriate amount and massage the hair. Rose hip oil and Evening Primrose oil make the hair silky and smooth. Wash off with the lukewarm water. 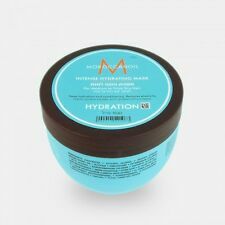 $Moroccanoil Intense Hydrating Mask 500ml 16.9 fl.oz Moroccan Oil Intense Hydrating Mask is an intensive hair mask for medium to thick dry and damaged hair. This rich and creamy treatment was designed to hydrate and help repair damaged hair. 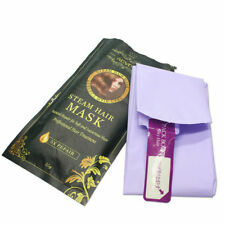 With continued use, this highly effective mask revitalizes hair, restoring shine and manageability. Infused with antioxidant-rich argan oil and nourishing ingredients, it hydrates and conditions while dramatically improving hair's texture, elasticity, shine and manageability. FREE SHIPPING WORLDWIDE We will ship your item within 1-2 days after your payment is clear. I will ship the package as a REGISTERED AIR MAIL, your signature is required. It is the responsibility of the buyer to handle any Taxes Customs fees or Duties in the receiving country. Repairs & Rejuvenates, Leaving Hair Shiny, Smooth & Healthy. Moroccan Argan Oil Repairs and rejuvenates leaving your hair shiny, smooth and healthy. 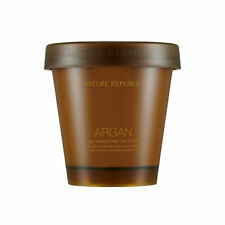 Argan Oil will help protect your hair whilst adding shine and reducing frizz. Suitable for all Hair Types & Parabens Free. Osmo Berber Oil 100ml Shampoo 250ml - Hair Treatment with Argan Oil FREE P&P! 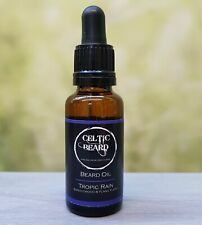 Neal & Wolf Velvet Nourishing Hair Oil 100ml. Directions – Apply a small amount of velvet to clean, damp hair and style as desired. Alternatively apply the oil to dry hair to finish off your style. Get silky, smooth, healthy looking hair fast! Use it towel dried hair or apply a small pea size amount to ends of dry hair. Inside the fruit grows a large nut that houses up to three almond-shape kernels which are the source of this miraculous oil. No exceptions. We are very serious against false claims. Any attempts with intend to manipulate our system will result in appropriate repercussions. Organic Argan Oil. Apply blend on problem areas of the skin and massage to full absorption. 1 teaspoon of argan oil, 1 teaspoon of camomile oil, 1 teaspoon of almond oil. Warm up blend on water bath. Morocco Argan Oil for hair 60ml. Argan oil is produced from an Argan nut coming from Argan tree, which only grows in Southwestern Morocco. This will enhance the hairs ability to absorb the color. Do not rinse hair before applying color or bleach. Type:Morocco Hair Care Essential Oil. 1x Morocco Hair Care Essential Oil. Hair Type:All hair types. Smooth hair. NET WT:70ml. Remove grease. Otherwise deal is final. We will be happy to resolve any issues you may have in a cordial and friendly manner. Difeel Premium Natural Hair growth oil 75ml-Sunflower Mega Care-Free UK Post!!!! The special formula not only rejuvenates hair but further protects it against the harmful effects of heat styling or UV rays for healthy looking hair with incredible shine. Rich in antioxidants and vitamin E.
Treat your hair to this luxurious multi-purpose Mythic Oil Original Oil, now with added heat protection of up to 230°C. Infused with a rich blend of precious oils, including Argan Oil. This formula softens, adds shine and radiance to the hair without weighing it down. Nuzen gold herbal hair oil. Nuzen herbal product. • smoothes hair and gives them a shiny glow. • protects the delicate structure of the hair from high temperatures. • provides the hair with an optimal level of hydration. • facilitates hair styling. • zapewnia intensywną regenerację włosów słabych i zniszczonych. Argan Oil. 100% Pure Cosmetic Grade Argan Oil from Argan Cosmetics. A glycerin hair mask. Prevent hair loss. 1 Hair care oil. Applicable hair: general. Net content: 100mL. Face: Cleanse the skin. Prevent wrinkles. Essential oil features. 2 X TOTEX ARGAN OIL PROFESSIONAL HAIR CARE SERUM 125ml. For this first a small dose of oil on the palms spread/Rub. Do not rinse out. Carefully selected ingredients provide antioxidant protection, detangling and soothing vulnerable hair, With anti-frizz formula. Hair Mask -Trivitaminol AD3E / Vitamin A D3 E - For densehealthy ARGAN OIL. Trivitaminol oil can be used on its own, just rub the oil into the scalp and hair, let stand for 20-30 minutes, then wash. You can also use it as a normal hair oil as long as the hair stays for an hour, two hours and then washed, but it's more action when you mix it with other ingredients that improve its effect. After use the hair would be soft & silky. After rinsing cold water on head add little “Jaboran Shampoo” rub for minutes & wash. Then add a little quantity on hairs rub for minutes and wash the whole scalp and head. RECONSTRUCCION SERUM WITH ARGAN. 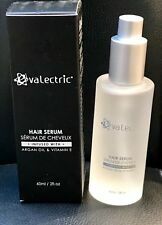 Use: Apply a small amount of serum on dry or dried hair ends. Of course always possible to obtain a delay for various reasons. TONYMOLY Make HD Silk Argan Oil 85ml. Pat gently for better absorption. Three organic natural oils in an exquisite mixture with a pleasant, silky texture, absorb rapidly and leave no residue in the hair. 15-30 minutes, then remove steam hair mask, and then wash it thoroughly with warm water, the effect is comparable to a professional salon baking oil. After shampooing, with a dry towel and gently wipe excess water on wet hair, then coated with a highly concentrated essence of steam hair wrap all the hair. AVON Advance Techniques Moroccan argan oil hair care serum. With argan oil. Apply after shampooing. 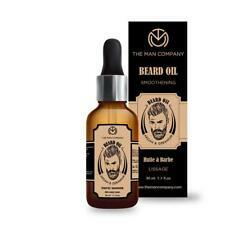 Provide nutrition and thicken beard and moustache, boosts hair growth in regions with patchy beard. Our extensive product range includes cushion covers, decorative wall hangings and Paintings on old paper. WITH MOROCCAN ARGAN OIL EXTRACT. 50ML EACH.